Another beautiful 11-piece solid oak shaker-style kitchen cabinet set is available for purchase from our custom cabinet shop, New Beginnings Custom Woodworks. Hurry. It won’t last long at its value price of $3750 (50% off other custom cabinets shops.) It features solid wood and soft-close drawer glides and hinges. 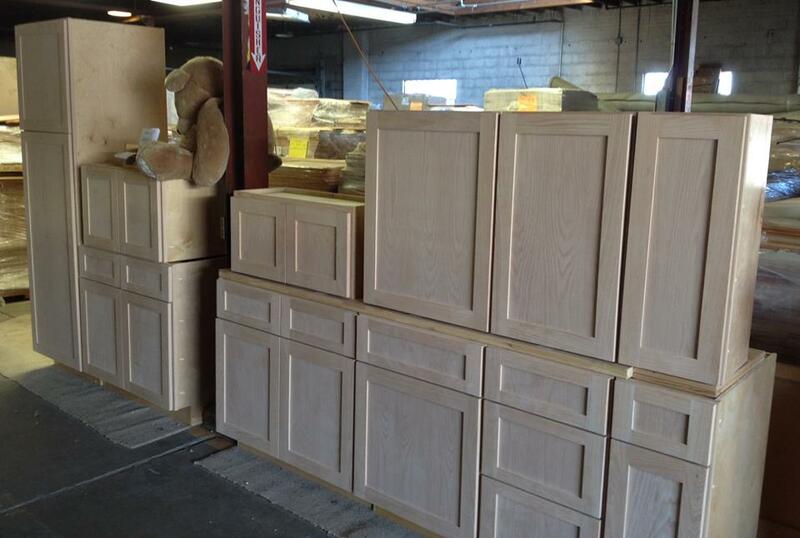 Bud’s Warehouse also offers a large selection of lightly-used cabinets perfect for an even more affordable remodel project as well as over 20,000 sq. ft. of new and pre-owned home improvement supplies. New Beginnings is also taking orders for new semi-custom builds. Visit Bud’s Warehouse today at 4455 E. 46th Ave. Denver, CO 80216 or call us at 303-296-3990. We are open Monday — Friday 10am — 5pm, Saturday 9am — 5pm.